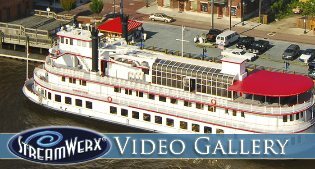 Aerial stock footage of coastal lifestyle of Wilmington, North Carolina and nearby islands. After pressing PLAY above you can mouse over the video player to get the play bar to show. Click the TV icon to shuttle through the clips. You can toggle between viewing in HD or standard by clicking 360p. Move your mouse away from the video player to get the clip scroll to disappear. To order a clip, "mouse over" the top of the video to see the clip reference name. Just give us a call for the price and we can deliver quicktime files via FTP.